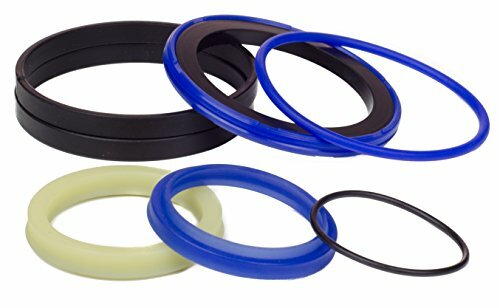 Kit King USA branded cylinder seal kit that contains necessary seals for a hydraulic cylinder reseal. All parts are quality checked and protected by a poly bag to ensure they are ready for your professional repair and install. Be sure to double check part number with OEM before purchase for your intended application. Picture is of the actual kit, but some part variation may occur due to part upgrades or various suppliers. Kit King USA kits meet or exceed OEM specifications, provide great performance and wear life, and are paired specifically for your application. Put our kits to the test on your next hydraulic repair. Be sure to verify that your purchase is Kit King USA branded. Demand the brand.